In October of 2015, it was shocking to see Alberto Del Rio make a surprise return to the WWE, defeating John Cena for the WWE United States Championship. Del Rio was booted out of the WWE in August of 2014 for "unprofessional conduct" which involved putting hands on a social media manager after he cracked a racist joke at Del Rio&apos;s expense. Del Rio held the US Title (which he&apos;d dubbed the "MexAmerican Championship" during his run as champion) until January of 2016, and since then, he&apos;s pretty much languished on the main roster. If there was any hint of him possibly getting a push for a championship in the near future, the WWE announcing today that Del Rio is suspended for 30 days for a Wellness Policy violation has quashed those dreams. The WWE is in an interesting spot; while the 39-year-old Del Rio has never been pushed as hard as Roman Reigns, it&apos;s worth noting that this is the second Wellness Policy violation in the last two months from the WWE. The news also comes at an interesting time in Del Rio&apos;s career. Del Rio&apos;s always been a star; he&apos;s the son of Dos Caras, a luchador that has been called "the greatest heavyweight ever to come out of Mexico." Del Rio followed in his father&apos;s footsteps, winning championship gold in Asistencia Asesoría y Administración, CMLL, and winning gold medals at the Pan American Games and the World Junior Championships, as well as earning a 9-5 win/loss record during his mixed martial arts career. He was a bonafide star in Mexican territories, and while he&apos;s a four-time Heavyweight Champion in the WWE, his career never took off as massively as one would have imagined. One has to wonder if the WWE purposefully separated Del Rio and Paige during the brand split to break up a relationship they were reportedly not happy about. When Del Rio was fired in 2014, he hit the ground running, returning to AAA, as well as making appearances in the World Wrestling Council and Robert Rodriguez&apos;s Lucha Underground, earning bank and praise as a returning babyface to the Mexican territories. His deal with Lucha Underground went left, primarily over money, and Del Rio took the WWE&apos;s deal, which would earn him steadier income and, at least hopefully, would turn him into a champion. While we can&apos;t say exactly how much he was making, there were definitely no signs of him getting any higher on the food chain as a performer, and if you believe the rumors about what Del Rio had going on behind the scenes, something had been brewing for a bit. 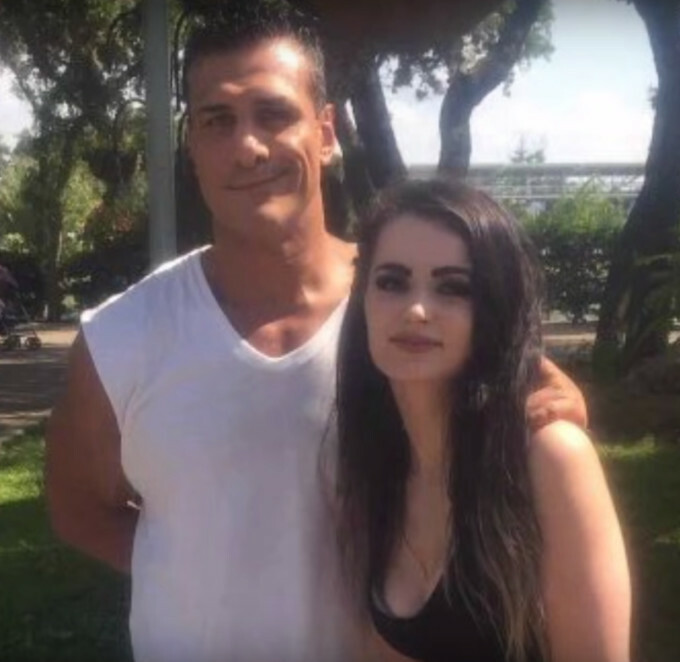 Back in May, it was revealed that Alberto Del Rio and WWE Superstar Paige were officially an item. There&apos;s been some speculation about issues one or both of them have been going through, either in their personal lives or with management, and after the WWE&apos;s Money In the Bank pay-per-view in June, it appeared that Paige had been arrested and/or taken away in an ambulance from the venue. Del Rio later appeared on MLW Radio, saying that he and Paige were heckled by a drunk couple who were ejected from the venue, only to run into them after the show. Police reportedly started the "standard procedure" of placing everyone in handcuffs, and taking Paige away in an ambulance to make sure they weren&apos;t confronted again, but she and Del Rio were said to have been set free. The next month, after the WWE&apos;s official brand split, Del Rio and Paige ended up on separate shows (Smackdown and Raw, respectively), and for a hot minute, it looked like their relationship was in a bad spot. One Reddit user noticed that Paige had removed all photos of Del Rio from her Instagram page around the time of the brand split, only to then say she missed having her "Papi" in her life. Earlier this month, Dave Meltzer revealed on Wrestling Observer Radio that Del Rio and Paige got into trouble backstage for taking their relationship public, primarily for the images they shared on social media. While the idea of "kayfabe" has been long gone in professional wrestling, management still feels some type of way about Superstars who aren&apos;t involved with each other on TV taking their backstate relationships public. One has to wonder if the WWE purposefully separated Del Rio and Paige during the brand split to break up a relationship they were reportedly not happy about. While largely unconfirmed, there were rumors going around earlier this month that Del Rio could be leaving the WWE as early as this fall, which is when his current contract is set to expire. His reasoning? He&apos;s just not happy with his position in the company. Interestingly, this past June in an interview with Sportskeeda, Del Rio said he had one more title to win in the WWE to say "I have won all the titles you have to win in this company," and that he hoped to spend the three-to-five years he feels he has left in him in the WWE, although he admitted back in January that the only reason he didn&apos;t sign with American pro wrestling company TNA before returning to the WWE was because they didn&apos;t have enough bread to pay him. As usual, we&apos;ll likely never know what Del Rio got popped for. He literally lost to John Cena in the main event of last night&apos;s Smackdown, and as of last night there was no word on if he&apos;d even appear in a match at SummerSlam this Sunday. There&apos;s been no talk, rumored or otherwise, of Del Rio having any kind of substance abuse issues in the past, and any talk about what he may have been doing is just that—talk. When asked back in January about being in the best shape of his life, Del Rio made sure to point out that he&apos;d been "eating clean, eating healthy and training every day." But that&apos;s always the answer, isn&apos;t it? What one can deduce is—unless Triple H is feeling much better about Del Rio&apos;s place in the WWE—it looks like he might return in September to do a quick farewell before being wished good luck on his future endeavors. Given his previous track record outside of the WWE, Del Rio would probably do fine going back to Mexico, or taking TNA up on their offer. Will he be able to become the superstar he&apos;s been in Mexico? 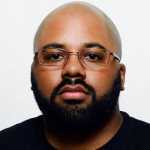 That&apos;ll remain to be seen, but if he plans on riding out his remaining wrestling years with the WWE, he&apos;ll have to straighten up and fly right, because The Game is not one to be played. UPDATED 8:05 p.m. ET: Earlier this evening, the WWE announced that Alberto Del Rio&apos;s girlfriend Paige had also been suspended for violating the WWE&apos;s Wellness Policy; she received a 30-day suspension, just like Alberto did, as it was her first violation. The timing of this is obviously suspicious, considering the heat these two have gotten backstage for their relationship. Again, there&apos;s no word on what caused Paige and Del Rio to violate the policy, and given that the WWE doesn&apos;t normally release the results of these violations, we may never know. For those who were unaware, while Paige was indeed drafted to the Raw brand in July, she hadn&apos;t been seen on television since June. She was reportedly suffering from various injuries, including back and shoulder issues. Paige, an 11-year veteran, was recently a topic of discussion on Wrestling Observer Live, where it was confirmed that while she has been out of action for months, she was still working on the next season of Total Divas, the WWE&apos;s reality show based on the behind-the-scenes life of some of the women on the roster. The show&apos;s sixth season is set to premiere some time in the fall, but as of right now, there&apos;s no telling if they will be acknowledging Paige&apos;s violation—or her relationship with Del Rio—on the program. To add insult to injury, Paige was suspended on her 24th birthday. We will continue to keep you updated on any additional info regarding both of these WWE superstars.